Dogs are believed to be a man’s best friend. But how often can one tolerate scratches on the floors or pulled out wood strips from the flooring? Singapore is well known all over for a huge percentage of dog lovers residing in the country. Staining and footprints are still tolerable enough for lots of Singapore residents, but many a times the biggest issue one faces is weather to sacrifice their beloved pet or let go of their long awaited dream of a nice and beautiful wooden flooring. The best way to handle the issue of scratches is opt for a regular timely visit to the nail cutter to get your dog’s nails trimmed to an acceptable level. The trimmed edges generally are often the sharpest. So filing them every time they are trimmed is a must. Make a habit of making your dogs wear socks all the time they are inside the house. These socks are customized to fit and adjust as per their toes and claws. Let the training begin since they are pups. That will make them wait outside the door each time till those socks are nicely fitted into their toes. These socks will prevent scratches and foot prints on the floor. Stripping off chunks of wooden floorings and biting are two problems that need to be dealt with psychological training. That’s the only possible option, unless you want to put mouth guards over their face. Wetting and urinating at places of their choice is another very common problem. Though mopping might resolve the issue for time being but the problem does not stop there. 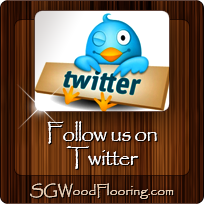 Wood being an absorbable material, often the fluid seeps through the flooring and cause damage. Stripping, sanding and refurnishing become the only available option. The solution is either leave them out or train them well and keep an opening through the door for the lawn or the garden so each time the dog wants to urinate, it can rush out instead of doing it inside one’s home. The choice of flooring for homes with pet dogs. 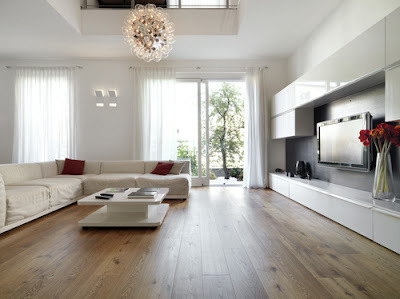 A thick coat of high quality Urethane over the wooden flooring makes the floor more resistant to scratches and stains. This is currently one of the most commonly used coating technique in Singapore. Laminating the floor is also an option but the slippery surface makes it difficult for pets to walk on the floor so placing rugs or floor mating becomes an extra necessity. 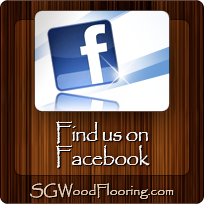 This is an intelligent choice of flooring. The uneven finish and roughly polished surface helps in camouflaging the stains and scratches very well because of the natural indentations and embarkations present. This kind of wooden flooring gives a great rustic character to the house along with solving the issue of scratches and stains. Red oak is perhaps a good option. Maple is perhaps one of the other most durable options for wooden flooring. The self anti microbial property of the wood helps in preventing the growth of any kind of harmful microbes. The need to regularly clean the floor is also not there so making it one of the most easily maintainable choices of wooden flooring. This wood is comparatively more easily available in Singapore hardware markets along with also being one of the most logical choices aside from being a real sturdy and tough. 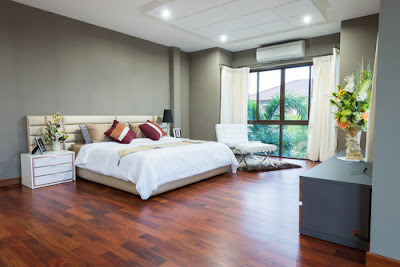 Hardwoods like hickory, Brazilian walnut, balsa, cherry are durable and also among the choices of Hardwoods that come within the budget of a simple middle class Singapore based family. They are scratch resistant and almost impossible to stain.